Luce Turnier was born in Jacmel, Haiti on February 24, 1924. In 1937 her family moved to Port-au-Prince after a hurricane ravaged the South of Haiti. 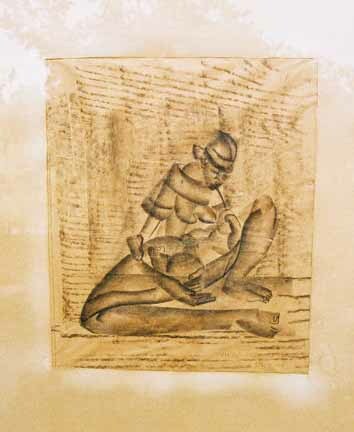 She joined the Centre d'Art in 1945 and exhibited there with Maurice Borno in 1946. She was the recipient of several scholarships over the years, the earliest of which allowed her to go to New York and study at the Art Students league in the early 1950's. Although there were a few other women on the scene around that time, she is the one who is usually mentioned first. Her work is shown in galleries and museums world wide. After living abroad for many years she returned to Haiti in the early 1970's. 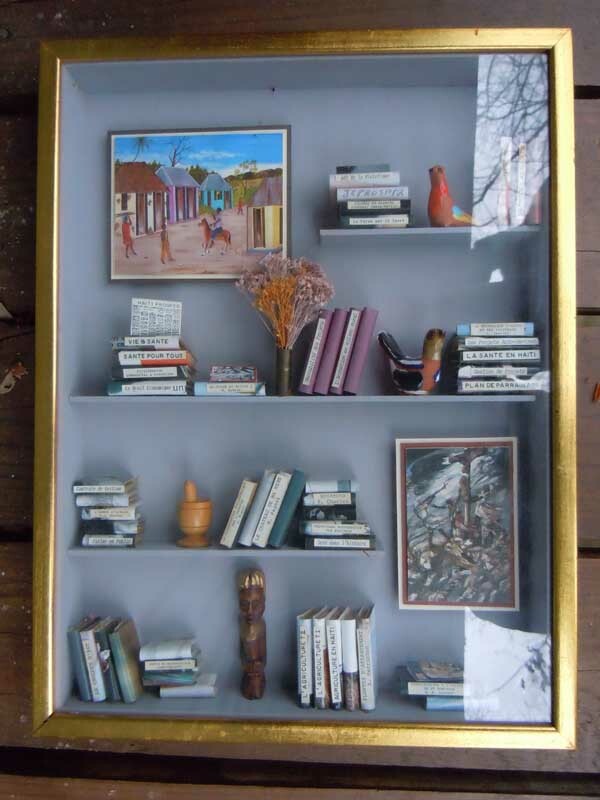 Later in her career she worked in collage and finally constructed miniature bookcases that contained finely detailed books and other objects of art. She lived in Petionville at the time of her death in 1994. Size 11 1/2 x 9 3/4"